This show is one I’ve been anticipating like no other. Executed produced and starring Natasha Leggero and Riki Lindhome Another Period is a turn-of-the century satire series that takes entitlement to a whole other level. The Bellacourt family is Old Money wealthy and like Downtown Abbey the Bellacourts employ a whole team to keep things tidy. Leggero and Lindhome play Bellcourt sisters whose sole purpose is to maintain their wealth and status. Meanwhile, their servants and relatives keep things interesting. The series cast includes Lauren Ash, Michael Ian Black, Paget Brewster, Beth Dover, Brett Gelman, Christina Hendricks, Brian Huskey, David Koechner, Jason Ritter, David Wain and Armen Weitzman. Mark this show on your calendar now! 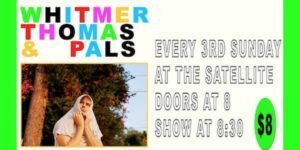 The Meltdown Show continues to be one of LA’s most popular alternative comedy shows. 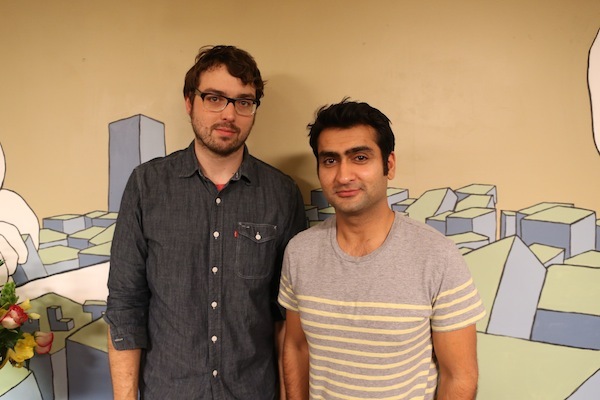 Comedy Central brought you a hilarious first season of The Meltdown with Jonah and Kumail and this June the second season kicks off. Watch the biggest names in comedy test the comedy waters in front of a fresh audience. Not only do you get to see what happens on stage, but the camera takes you behind the scenes for Meltdown Comics’ green room shenanigans and precious moments. The second season features performances by Matt Braunger, Fred Armisen, Andy Daly, Nick Thune, Pete Holmes, Al Madrigal, Ron Funches, John Mulaney, Bridget Everett, Ken Marino, Hannibal Buress and so many more. Squee! The improv, impressions and crazy characters just keep coming. In July you will enjoy the FIFTH season of the Peabody Award winning and five-time Emmy-nominated sketch series, Key & Peele. Keegan-Michael Key and Jordan Peele return as your trusty chameleon-like hosts bringing you the edgiest comedy on the planet. If you want more “Obama and Luther,” “Meegan and Andre,” “Wendell and Carlos,” and “Mr. Garvey, the Substitute Teacher,” I suggest you tune in. The boys are back! Want to see Broad City’s Hannibal Buress offering up his take on topical subject matter? Well, then be sure to watch Why? With Hannibal Buress in July. Hannibal has questions that need to be answered and he will answer them via the thing he knows best, COMEDY! Look forward to engaging stand-up, filmed segments, man-on-the-street interviews and in-studio guests. The show will be filmed in front of a studio audience and each episode will tape the same week it airs. You’ll soon see Hannibal once a week for a delicious half hour of mind-altering entertainment. When we last saw Forrest MacNeil he wasn’t doing so well. The life review business can be a bit brutal, but that doesn’t mean you quit. The cult favorite, Review, starring Andy Daly is back for a second season of life dissection. Once again we’ll see Forrest examine challenging subject matter with endless enthusiasm and commitment. Review is executive produced by Andy Daly, Jeffrey Blitz (The Office), Andy Blitz (Late Night with Conan O’Brien) and Charlie Siskel (Tosh.0). Tosh.0 is hanging strong with its seventh season. Expect more of Daniel’s laser-focused wit when new seasons drop this Summer. No corner of the Internet is safe when Tosh is around. It’s a guarantee you’ll see more “CeWEBrity Profile,” “Web Redemption” and viral videos galore. But what will Daniel be wearing? Wouldn’t you like to know! In need of some inebriated real-life storytelling? Well, you’re in luck! 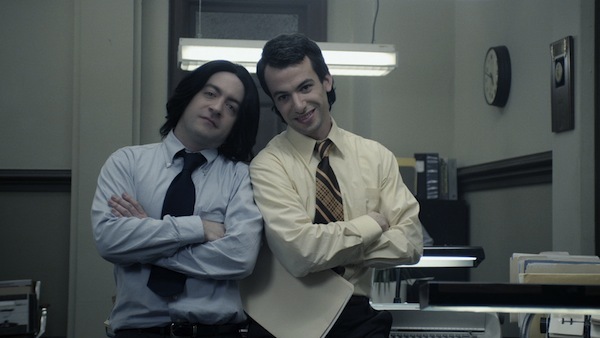 Drunk History returns for it’s THIRD season. Your favorite comedians are ready to re-enact those moments in history we may have forgotten. City by city, host Derek Waters enlightens us with the events and real life protagonists that have carved a place in our nation’s past. Of course, the best part of Drunk History is seeing how long it takes before your narrator messes up their lines. 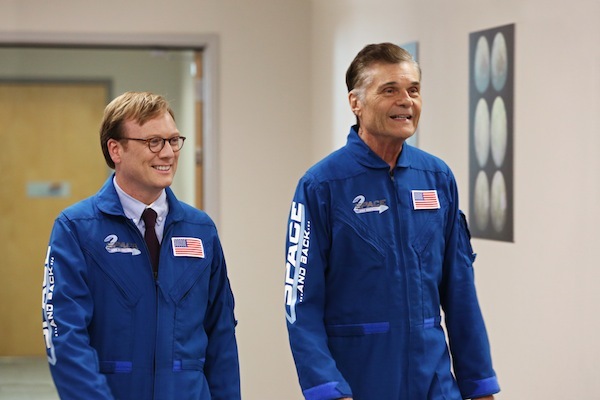 Guest stars on season three include Jack Black, Courteney Cox, David Cross, Charlie Day, Laura Dern, Emily Deschanel, Nathan Fielder, Johnny Knoxville, Nick Kroll, John Lithgow, Jordan Peele, Joe Lo Truglio, Jack McBrayer, Stephen Merchant, Patton Oswalt, Busy Philips, Jason Ritter, Winona Ryder, and more. This season the show will enlighten us with tales told from Cleveland, New Jersey, Miami, New Orleans, Oklahoma, New Mexico, Las Vegas and Los Angeles. Perhaps will find out if aliens really do live in Roswell? Find out soon! PLUS, you will get more of the original stand-up performances and specials you’ve come to expect from Comedy Central. Saturday, May 30th at 10pm ET/PT Nick Swardson: Taste It premieres. Saturday, June 13 at 11:00 p.m. ET/PT see the Roastmaster General Jeffrey Ross in true form with Jeff Ross Roasts Criminals: Live at Brazos County Jail. Last but not least, anticipate specials from the extraordinary comedians Bridget Everett and Natasha Leggero. So much goodness to look forward to! Mentions: Feature image [via Wikipedia].